Every few weeks, Chicago attorney and entrepreneur Curtis Tarver has an important, can’t-miss meeting. The busy father of two young children picks up food and prepares for an agenda that might include anything from popular songs to favorite teachers or academic obstacles. Tarver is a mentor to four middle school students through Big Shoulders Fund. Knowing some of the children in the program may lack a connection with an African-American male role model, he is committed to consistency. “If I say I’m going to show up, I show up,” he said. 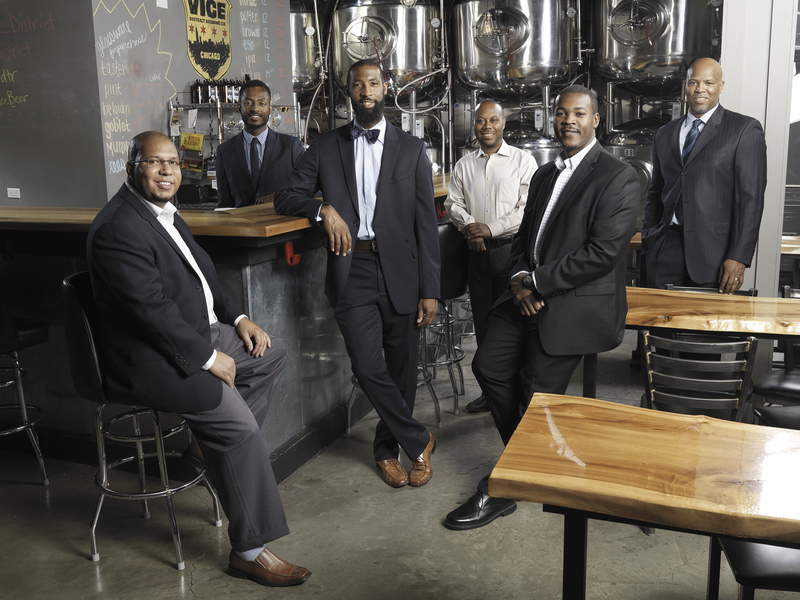 “Even without a specific script, it matters just that you’re there.” Tarver is a big supporter of efforts to diversify the Big Shoulders organization, so when Big Shoulders President and CEO Joshua Hale mentioned the need to recruit more African-American men as mentors, Tarver organized an event at his South Loop brewery, Vice District Brewing. He invited a couple dozen friends with whom he regularly breakfasts to meet with Hale and Co-Chairman John Canning.